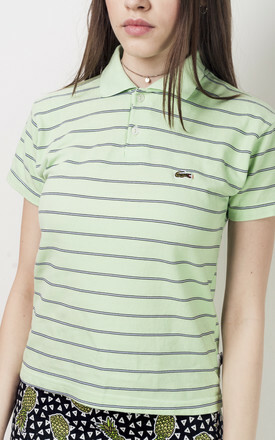 Mint green Lacoste tee with the lil croc at front. It was made from a nice striped cotton fabric back in the 90s and survived in a flawless condition. 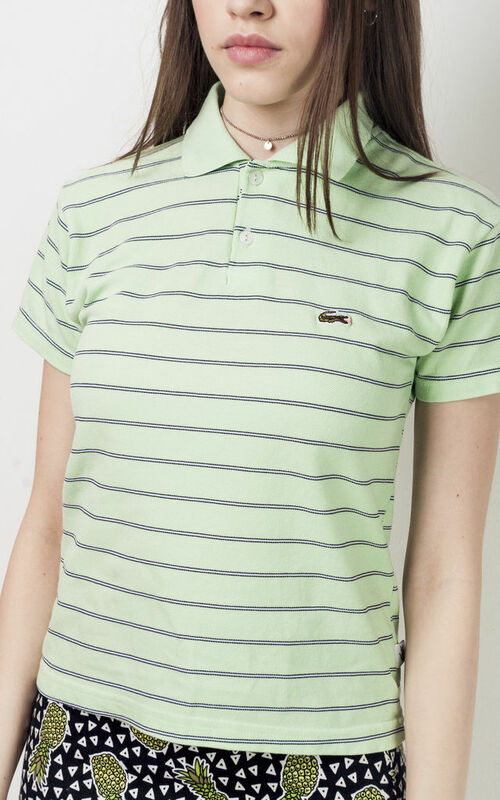 Labelled as a size 152, we recommend it for a UK size 6-8. Our model, Mirtha is 166 cm / 5' 4" tall and she's a size S.
shoulder: 40 cm / 1' 3"
width (seam to seam): 42 cm / 1' 4"
sleeves: 15 cm / 0' 5"
length: 53 cm / 1' 8"